Somehow this show got stuck in draft on MyMac instead of getting published… Sorry – This week Simon had trouble with iCloud, Facebook and Google had trouble with Apple, and Apple had trouble with FaceTime. Serious criminals are tapping into the phone system backbone to attack banks, governments continue to try and get into everyones chats, and the Internet of Things may be an even worse security threat than you ever imagined. Meanwhile guest Guy Serle of the MyMac podcast has problems of his own with some shelves, Apple’s “awful terrible no good very bad quarter” might be down on estimates but is still the second biggest quarter they ever had… but over all bad news is all there is. Somehow this show got stuck in draft on MyMac instead of getting published… This week Simon had trouble with iCloud, Facebook and Google had trouble with Apple, and Apple had trouble with FaceTime. Serious criminals are tapping into the phone system backbone to attack banks, governments continue to try and get into everyones chats, and the Internet of Things may be an even worse security threat than you ever imagined. 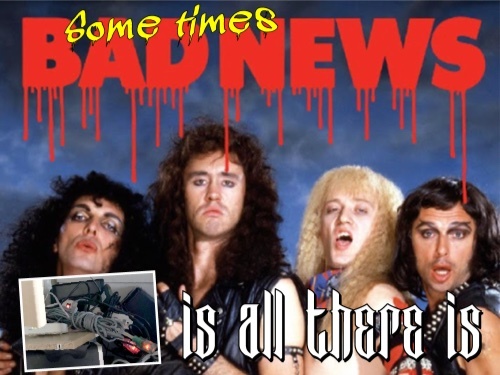 Meanwhile guest Guy Serle of the MyMac podcast has problems of his own with some shelves, Apple’s “awful terrible no good very bad quarter” might be down on estimates but is still the second biggest quarter they ever had… but over all bad news is all there is.